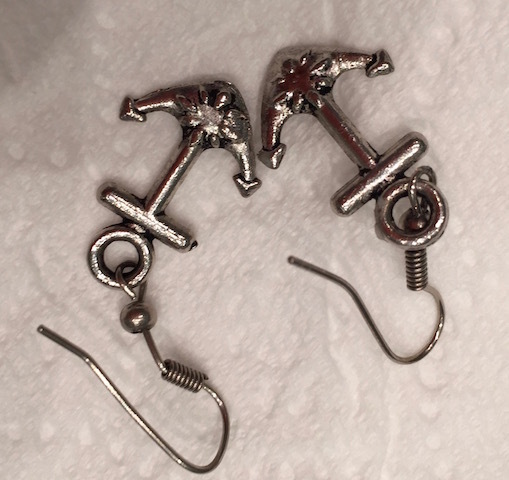 I bought these anchor earrings as a souvenir during our trip to Ukraine in 2011. 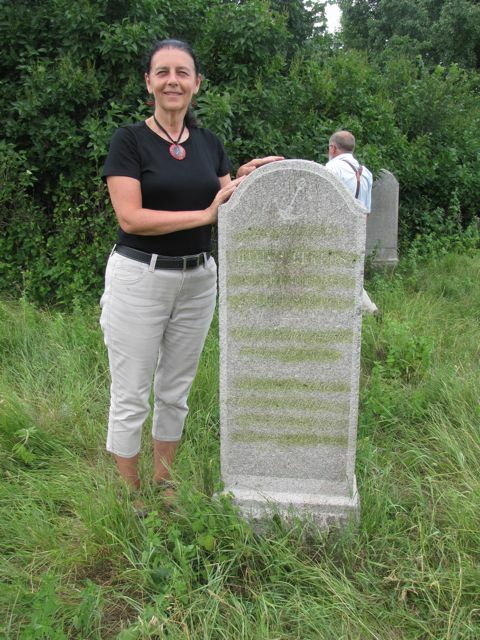 I noticed many of the Mennonite tombstones in Ukraine had engravings of anchors. 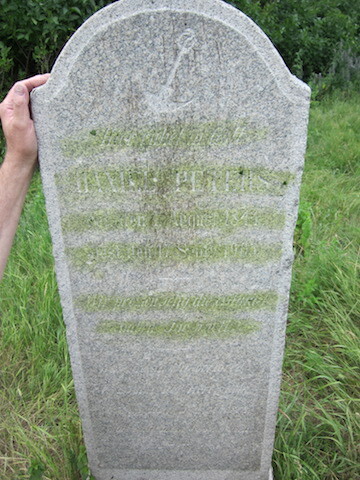 This is the tombstone of my great, great grandfather Daniel Peters which I found in the village of Nikolaipol in Ukraine. It was hard to read some of the lettering on the stone but the anchor symbol on the top was clearly visible. Everytime I wear my anchor earrings I am reminded of my family connections to the Ukraine and our memorable visit there. I just finished Maurice Mierau’s book Detachment. 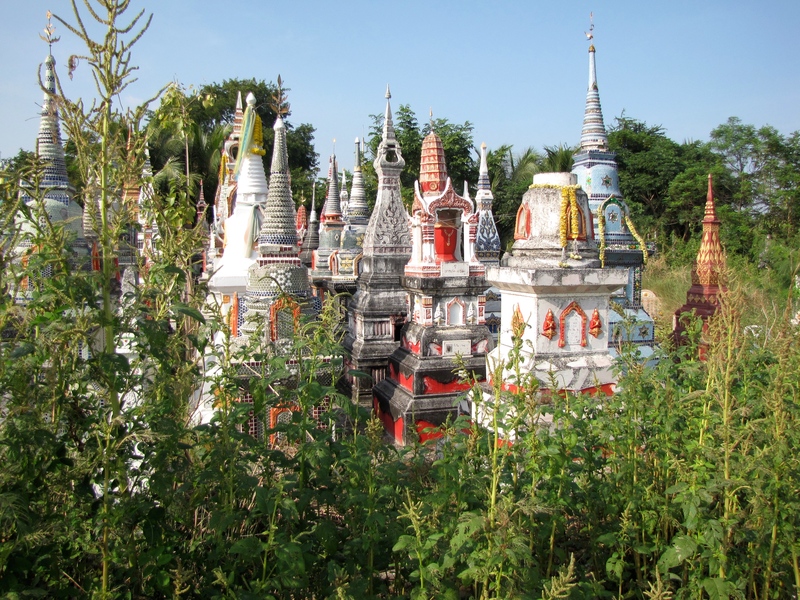 He writes about the experience of adopting two sons from Ukraine. The boys went through some pretty traumatic life events before the adoption.Interwoven with the description of these events, is the story of Maurice’s father who decades prior, also lived through traumatic times in Ukraine before immigrating to Canada. It is interesting to see the two stories juxtapositioned and to learn how Maurice comes to terms with both. The title of the book stems from the fact that Maurice felt a kind of ‘detachment’ in his relationship with his own Dad, and doesn’t want to have that same kind of detached relationship with the boys he has adopted, or his older son from a previous marriage. I wondered how knowing he was going to write a book about the adoption influenced the way Maurice felt and acted. He made notes about everything. Did keeping those notes interfere in any way with him participating in the adoption process and family life? Was he always thinking about what was going on in terms of what he would write about it? 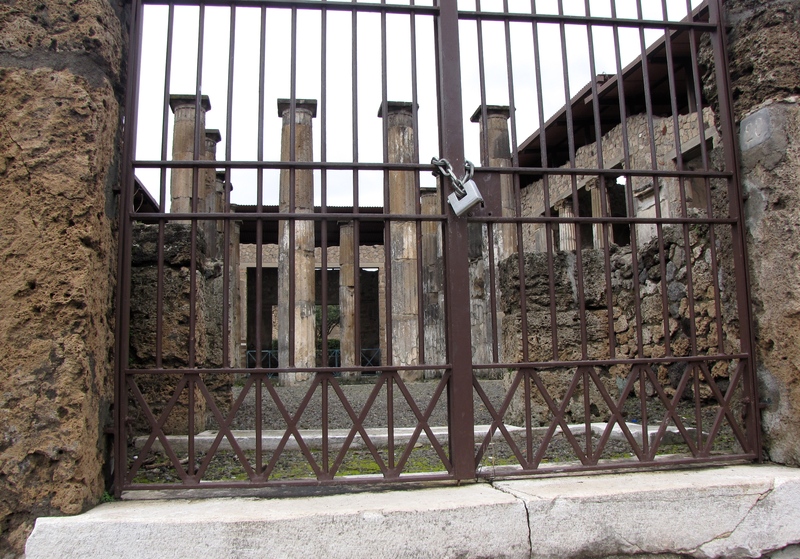 Sometimes when I know I am going to be writing about an experience I make different choices about what to see and do and sometimes I’m so busy making notes and taking pictures it detracts from the experience. I wonder if that happened to Maurice. On the other hand sometimes taking notes and reflecting on an experience makes it more meaningful and memorable so that might have happened to Maurice too. Detachment will be of particular interest to people whose families have immigrated from Ukraine like mine, and couples who have been through the foreign adoption process. The book will also make you think about how your parenting behavior was influenced by the parenting you received. When Dave and I were in Ukraine we had our photo taken in front of the Chortitza Oak. It is a dead tree propped up by pulleys and ropes. 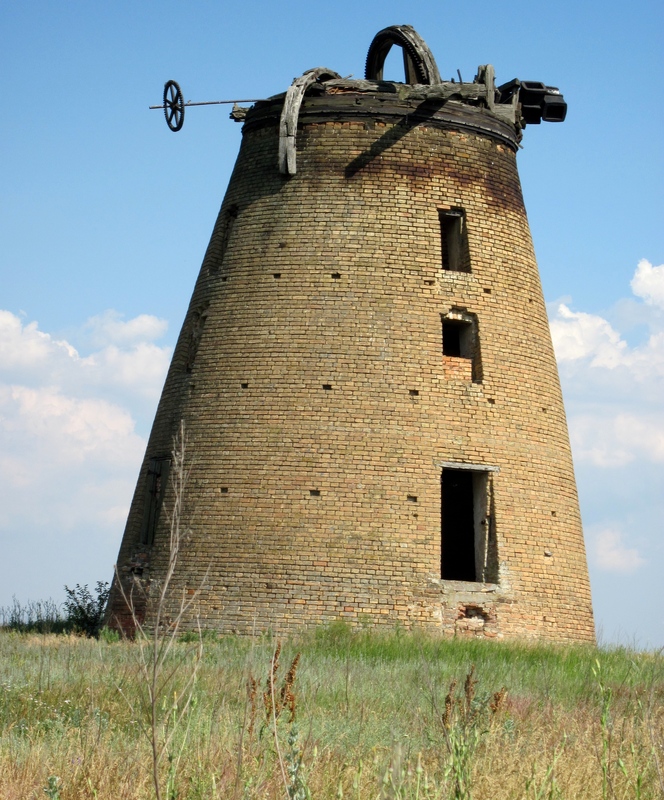 The Ukrainians keep it standing because of its importance in a key event in Cossack history. The tree also has significance to Mennonites who used to live in Ukraine because it was located in the heart of the Chortitza area where there was a large settlement of Mennonites. Over the years Mennonite visitors to Ukraine have brought back acorns from the Chortitza oak and planted them here in Canada. The one in this photo is at the Leamington Mennonite Home where my father-in-law lives. My brother-in-law John has one planted in his backyard in memory of his parents who were both born in Ukraine. On a recent visit to Winkler, Manitoba I photographed this young oak which is also a descendant of the original Chortitza Oak. A plaque explains it’s significance to the Winkler community. There was a plea in our church bulletin on Sunday morning to send donations to Mennonite Central Committee to help people in Ukraine. Winter is upon them and many families who have been displaced by the fighting in Ukraine do not have enough to eat, adequate clothing or a warm place to stay. 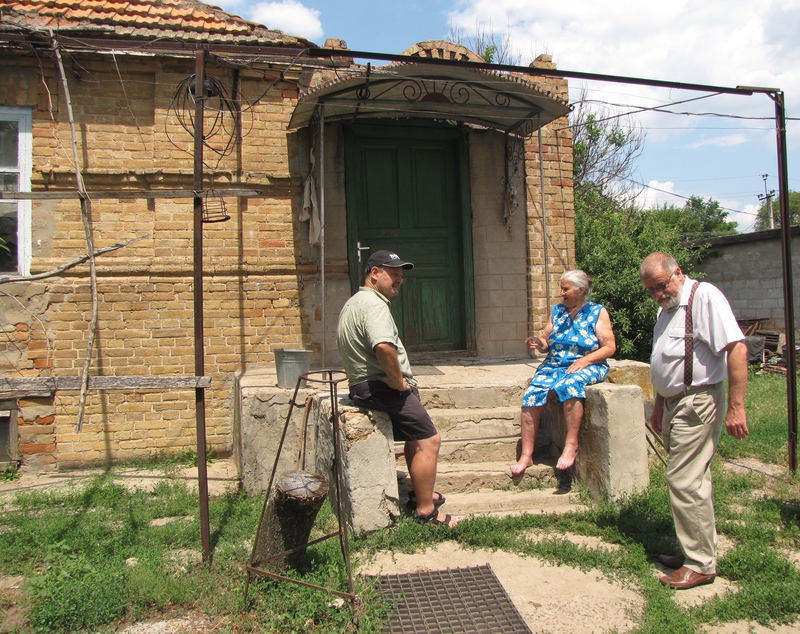 The Mennonite Centre in Ukraine is providing coal, running water and paying the electricity bill for refugees sheltered in old abandoned buildings. It reminded me of how my husband’s grandparents took shelter in an abandoned school during the conflict in Ukraine in the 1920s. 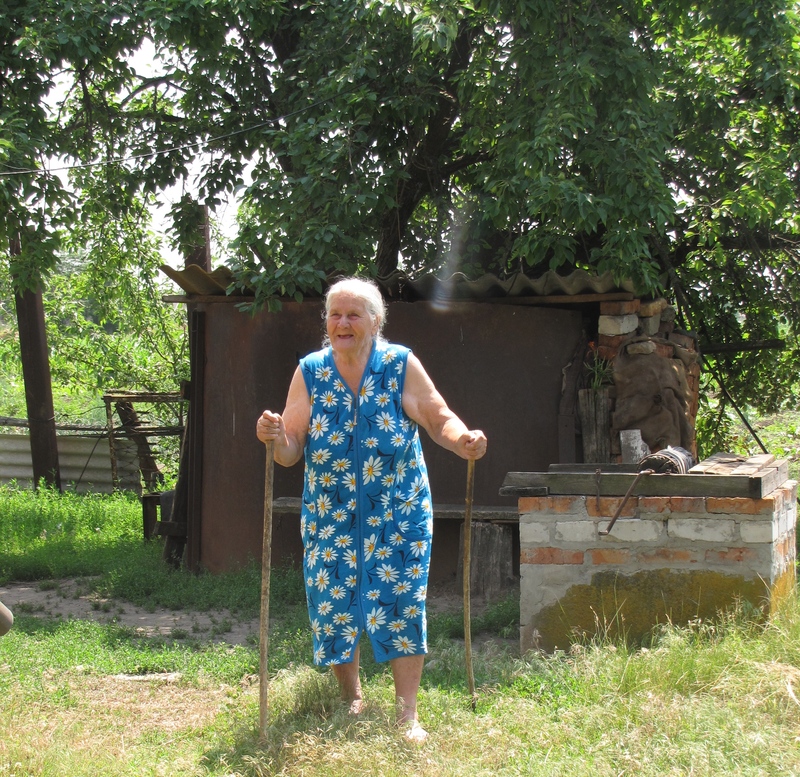 Reading about the need for humanitarian aid in Ukraine brought back memories of an elderly woman we visited there. We met her in Schönfeld. Our guide Victor Penner brought us to the village because it was home to both my husband Dave’s Friesen and Driedger great grandparents and Schönfeld was where Dave’s Oma and Opa Driedger were born, grew up, and lived during the first years of their marriage. The woman makes her home in what is left of the old Mennonite high school in Schönfeld. Dave’s great-uncle Diedrich Unrau was a teacher there. This photograph shows what the school looked like in 1910 when it had 70 students and three teachers- a physics lab and four classrooms. The house we visited was the portion of the school that served as the main entry. 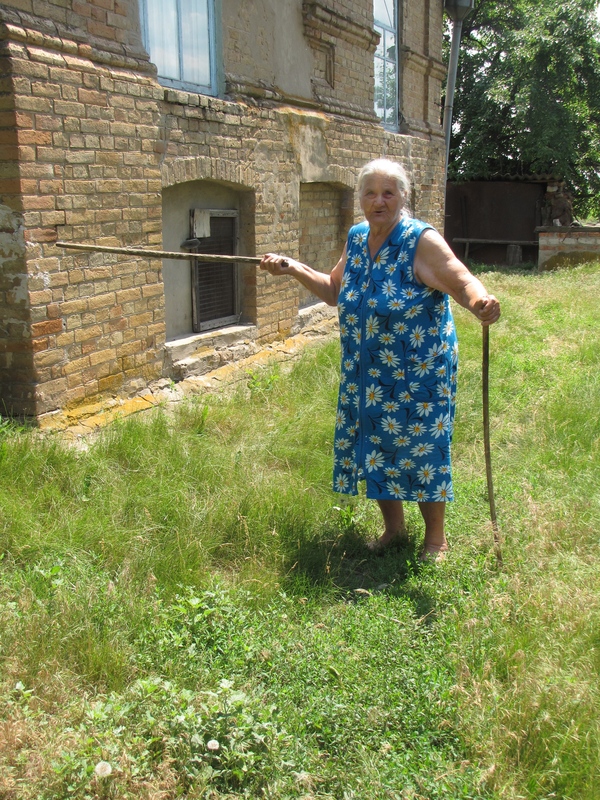 Our hostess used her two walking sticks to show us where an artillery shell hit the house during World War II. It only knocked the clock off the wall in the livingroom and did no damage to the well- built former Mennonite school. The woman we met in Schönfeld,was feisty and lively but our guide Victor told us something of the harsh reality of her daily life. She has two daughters. They live and work in the city of Zaporozhye and rarely come and visit. 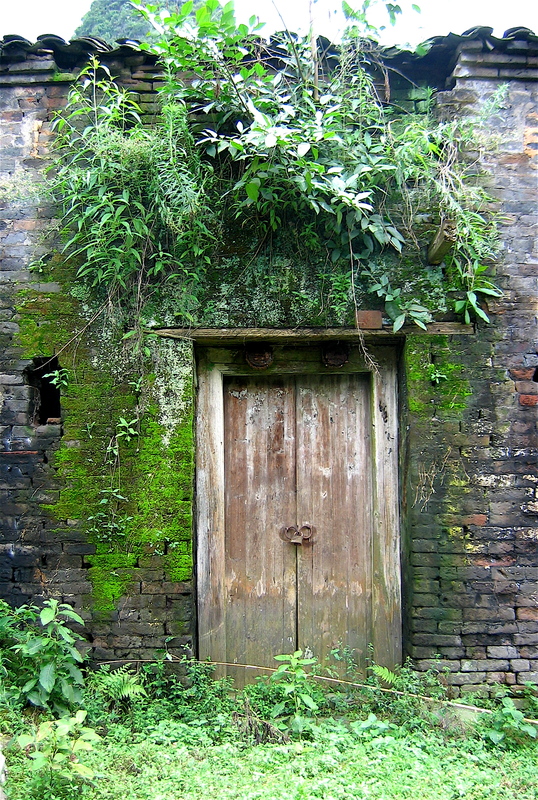 The woman has a small garden where she tries to grow enough to eat in summer. She gets water from this well. 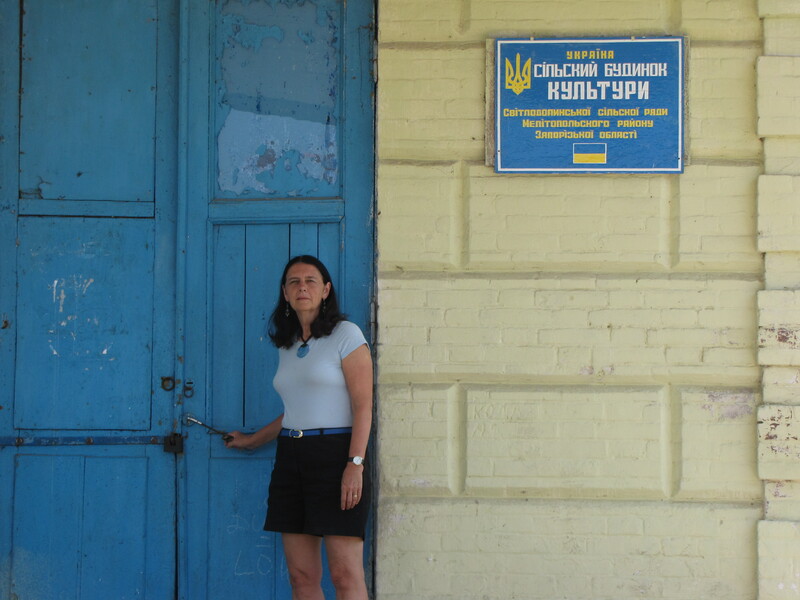 Her rural community like many others in Ukraine does not have a regular police force so crime is a problem. 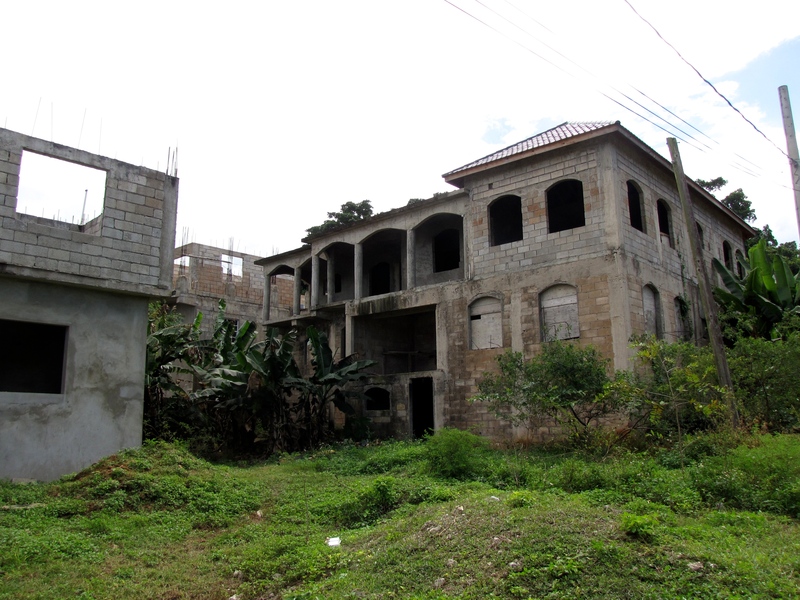 There are few medical services in the community, electricity is available erratically, and the roads are in need of repair. The woman has no vehicle to get to shops. She heats her home with coal and wood. Victor says he worries about her and always thinks she won’t survive the winter, but each spring when he brings new Mennonite visitors from North America to visit, she is still there. Victor always gives her some money before he leaves. On Sunday when I read about the need for aid and assistance in Ukraine I was reminded of the woman we met in Schönfeld,and wondered if she is still alive and how she is faring this winter. I feel a little better knowing the donation we made this week to relief work in Ukraine, will help people like her, whose already difficult life is being made even more harsh by military activity in Ukraine. 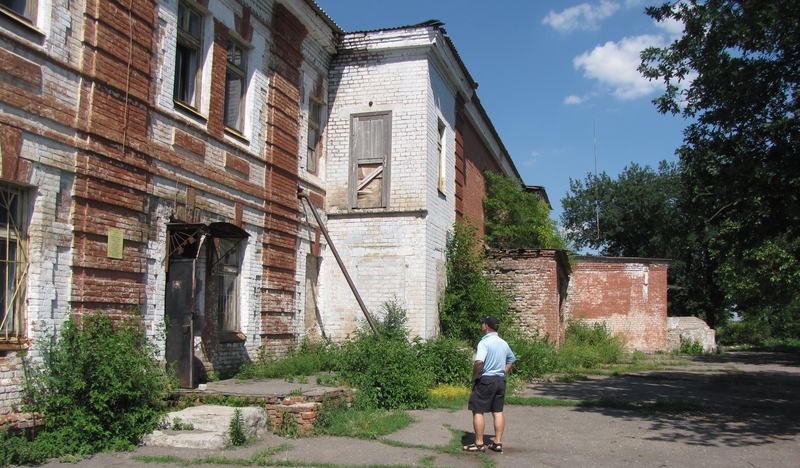 My husband Dave stands on the porch of his father’s birthplace in Tiege Ukraine. The sign by the front door tells us the building was a cultural centre for the people of Tiege, but when Dave’s grandparents lived there at the time of his father’s birth, it was an abandoned School for the Deaf and Dumb which had been operated by the Mennonites. 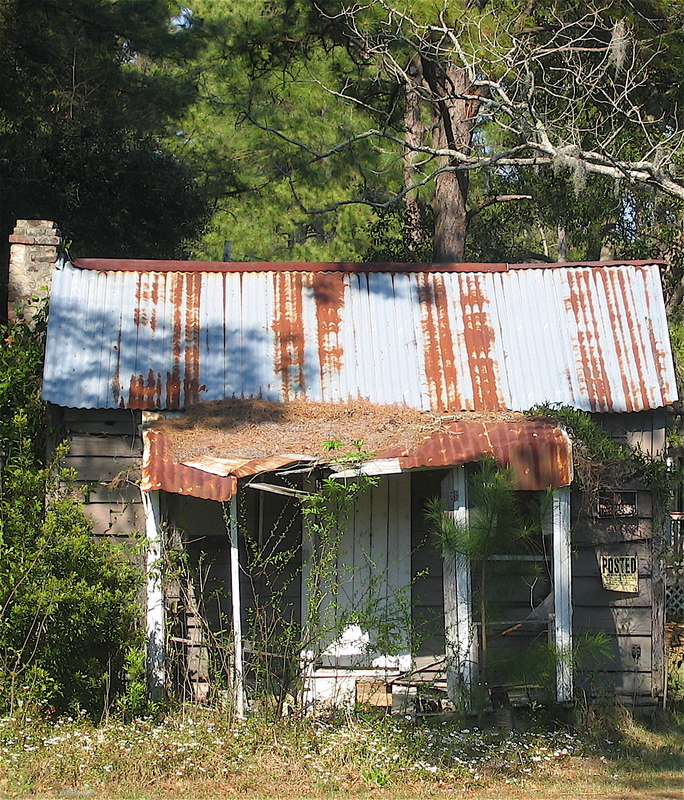 Dave’s Oma and Opa had been living on a farm in Schoenfeld but were forced to abandon it in 1920 because of the danger from roving bands of criminal outlaws led by a man named Nestor Makhno. Opa had already escaped the bandits’ bullets twice and so when a farmer in Tiege offered Opa a job he and Oma decided to move there. 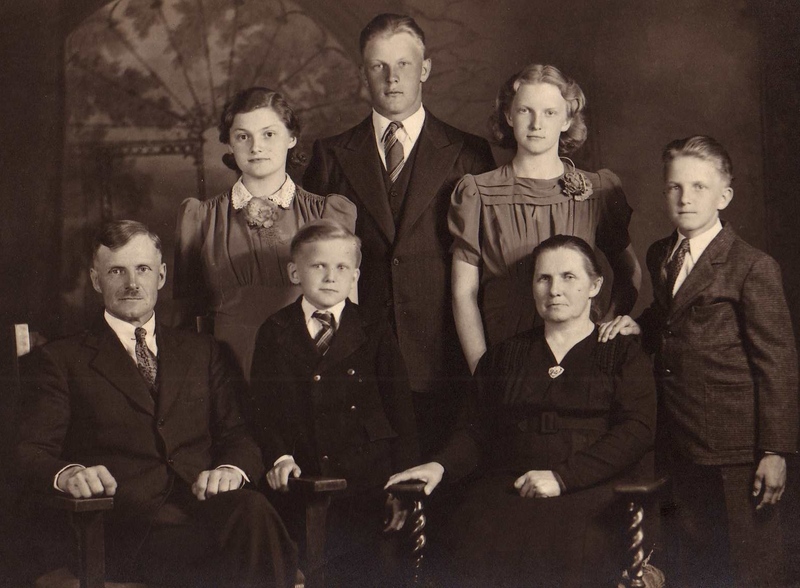 Along with a number of other families they lived in the Mennonite School for the Deaf and Dumb. 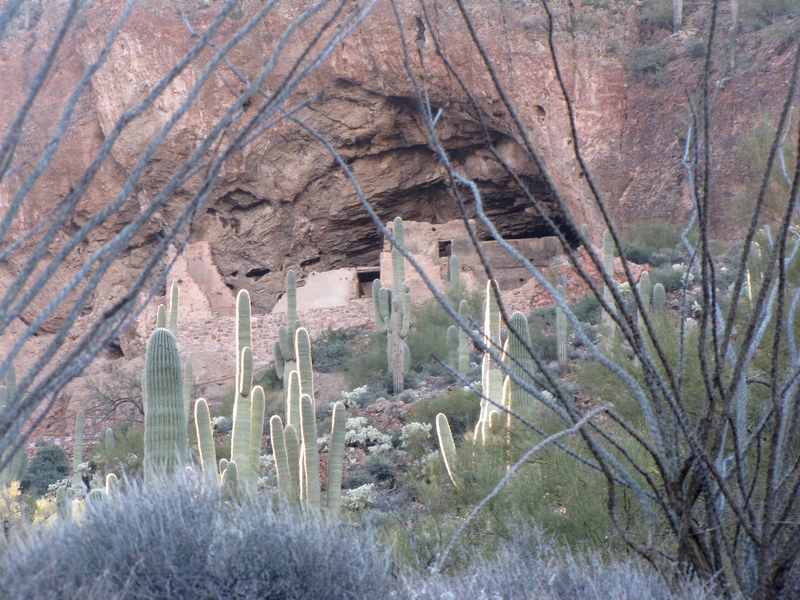 With its kitchen and dormitories it was a suitable place for homeless Mennonites to find shelter. It was while his parents were living at the School for the Deaf that Dave’s Dad was born. Sadly it is also where Oma and Opa’s first little daughter Kaethe died of pneumonia. Oma told a story about something that happened at this school when they were living there. Dave’s Dad Cornelius was a very small baby and there was a real danger that he would die after he was born. Oma had just lost her little sixteen month old daughter the month before and she couldn’t bear the thought of losing another child. She took her baby outside of the school and broken-hearted stood on the grounds crying out to God to save her child, promising that if God did, she would dedicate her son to God and the work of the church. Perhaps having his mother tell him this story influenced Dave’s Dad in his decision to become a pastor. 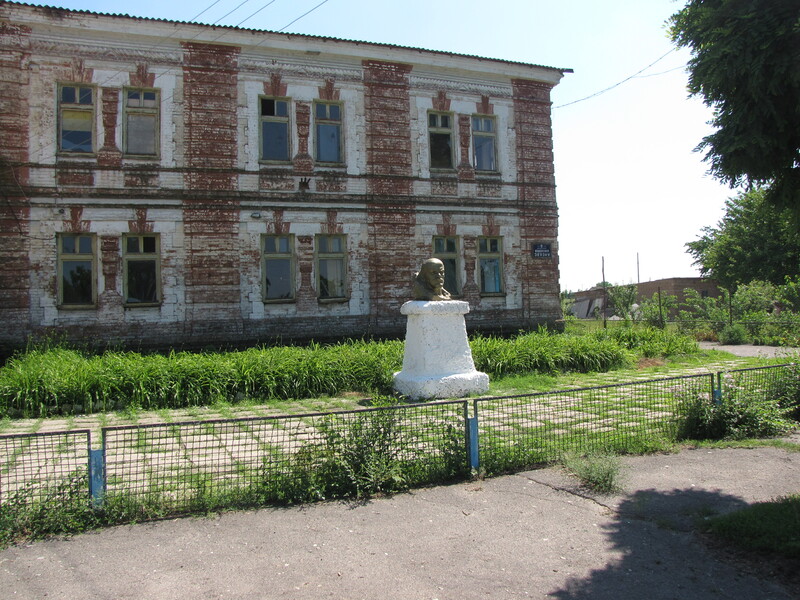 The Mennonite community had a well-developed infrastructure in Ukraine to care for vulnerable people in their colonies. 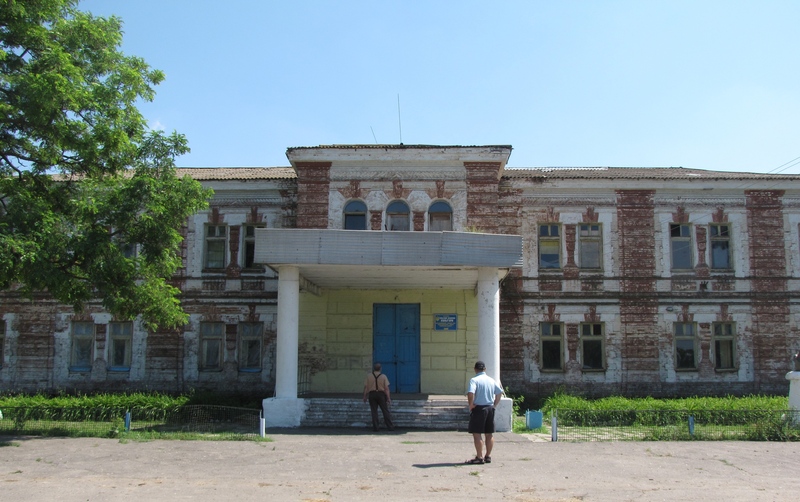 There were orphanages, institutions for the mentally and physically handicapped, elderly homes and hospitals. 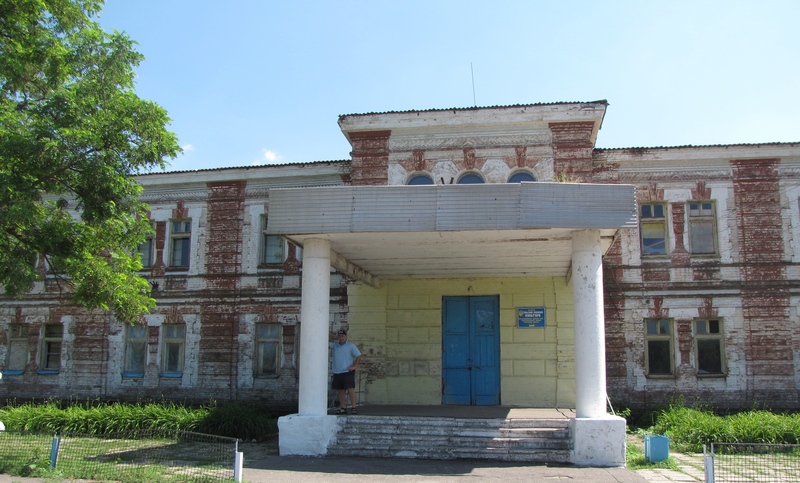 The Russian Revolution forced the closure of most of these facilities because the ruble was devalued by the new Soviet government. 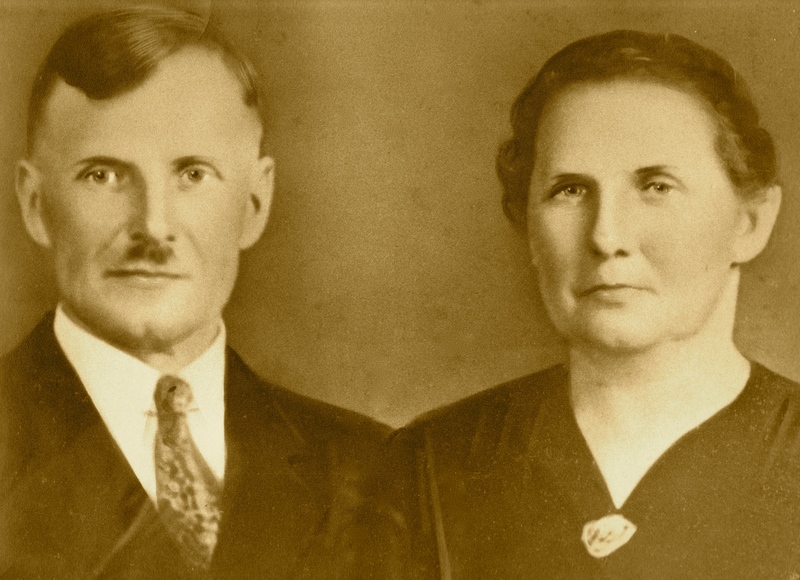 The money that had been deposited in the bank to maintain Mennonite institutions like the School for the Deaf and Dumb became worthless. The school was actually called the Marein Taubstummenschule. It was named after the Tsar of Russia’s mother Maria, a former Danish princess. “Taub”- means deaf in German “Stummen” means dumb and ‘Schule’ is school. 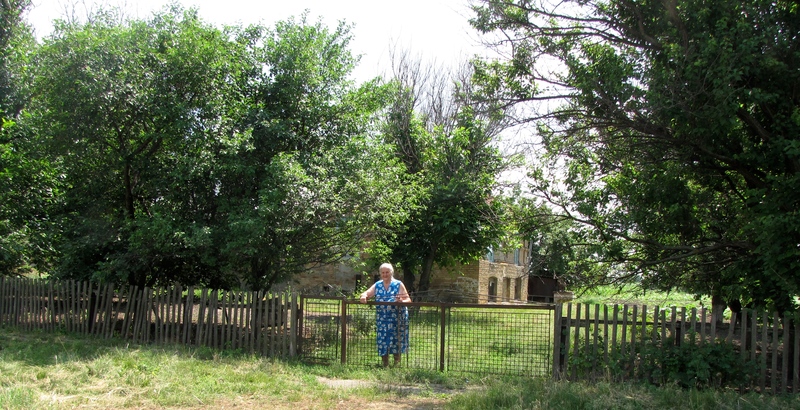 Much of the evidence that Mennonites once made their home in Ukraine is disappearing. 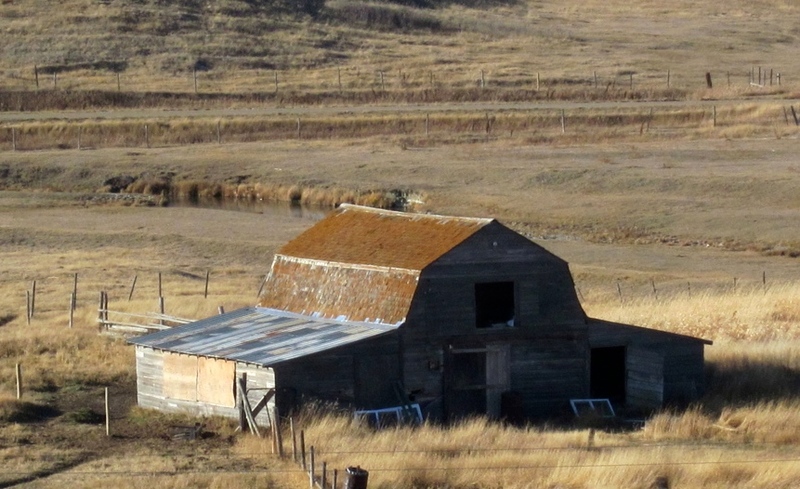 There are still some buildings left however, and we were fortunate that one of them happened to be Dad’s birthplace and we were able to visit it and see it for ourselves. I took this picture of my brother-in-law John on our trip to Ontario in September. 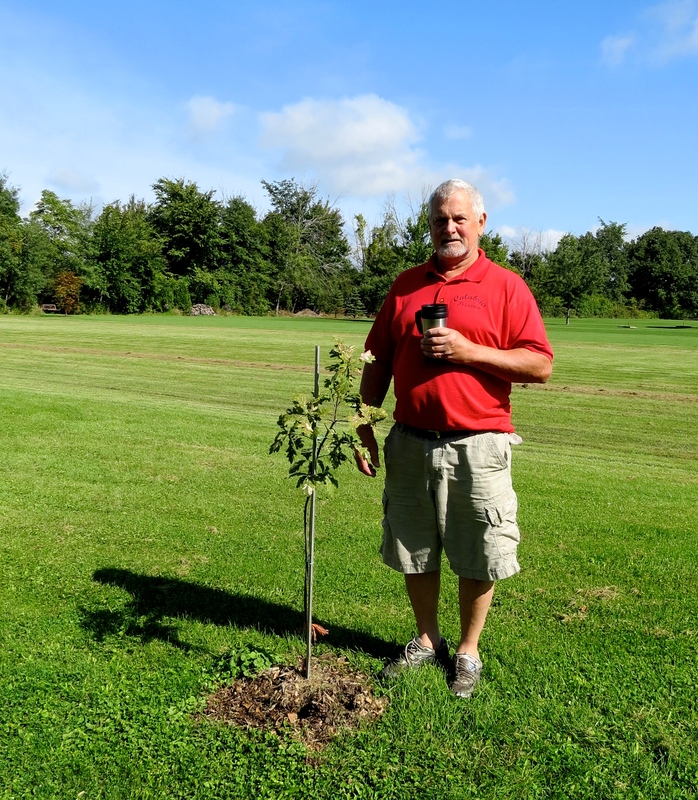 John is standing beside a young oak tree in his backyard. The sapling was started with a cutting from a special tree. It was grown from an acorn brought back to Canada from an oak in Zaporozhye, Ukraine. 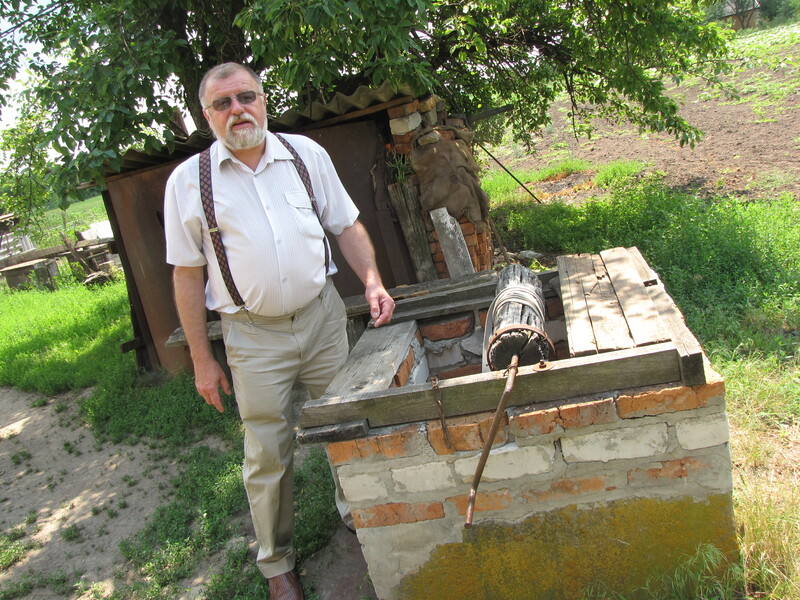 The tree in Ukraine is of historical significance to Mennonites because it was their meeting place or gathering place when they first came to Ukraine from Prussia. 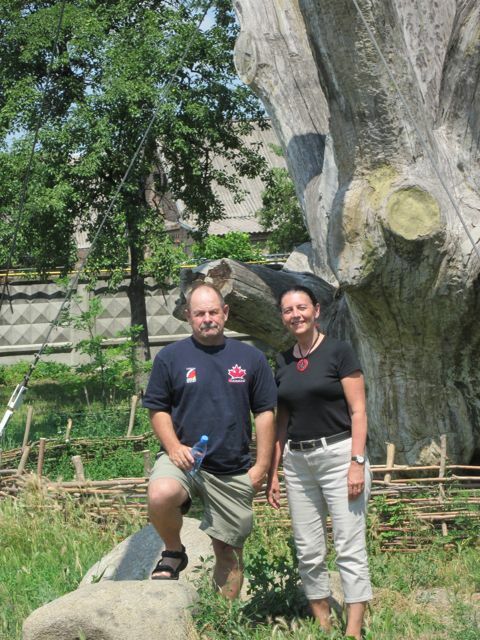 When my husband Dave and I were in Ukraine in 2011 we visited the famous oak tree. 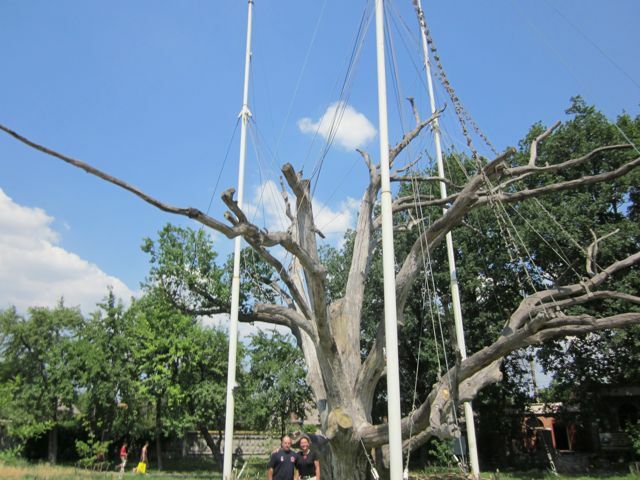 Mennonites refer to it as the Chortitza Oak because it is located in the area that was once home to the oldest Mennonite settlement in Ukraine called Chortitza. The oak, which is 800 years old has died. 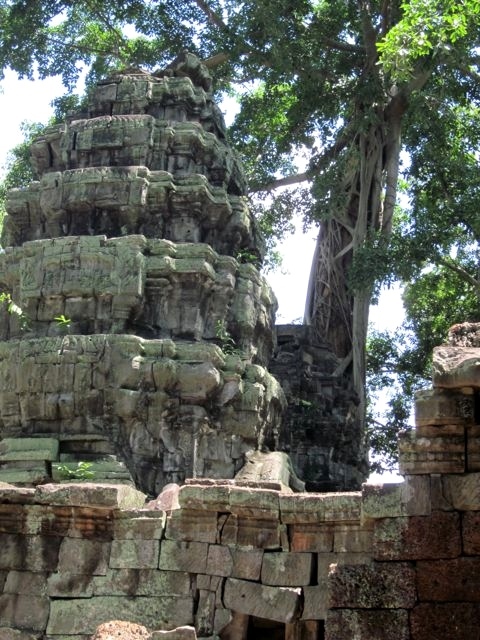 It only stays standing now with lots of help from pulleys and chains. 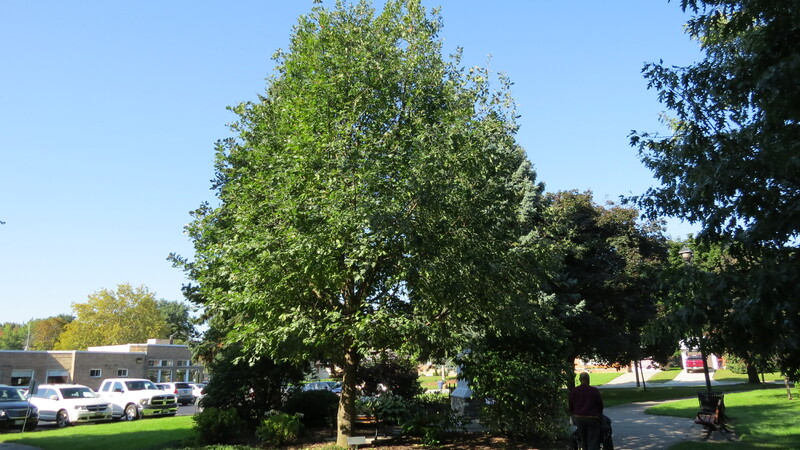 There are ‘children’ of this Mennonite tree in many places in Canada including on the grounds of Canadian Mennonite University where Dave and I met when we were students. People from Canada visited the oak in Ukraine years ago when it was healthy. They took home acorns from the Chortitza oak and planted them. Now they have given seedlings from their trees to many others. My brother-in-law John has one of these seedlings. My parents-in-law were both born in Ukraine. Having a little piece of his parents’ homeland in his backyard is important to John. 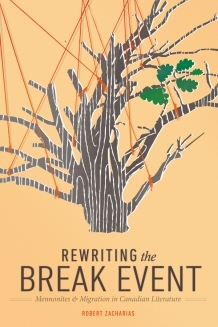 A recent Mennonite history book called Rewriting the Break Event has the Chortitza Oak on its front cover. 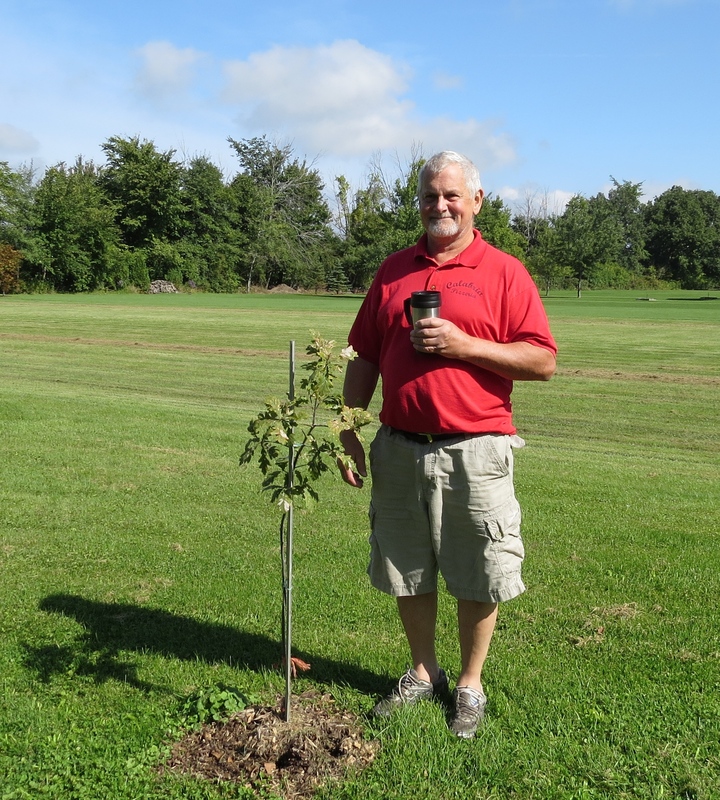 On our recent visit to Leamington, Ontario I also saw an oak grown from acorns from the Chortitza tree on the grounds of the Leamington Mennonite Home where my father-in-law is a resident. Even though the tree in Ukraine has died, oaks planted from its seeds can be found in many different parts of Canada just the way the descendents of the Mennonites who immigrated to Canada from Ukraine, can be found in many different parts of Canada. 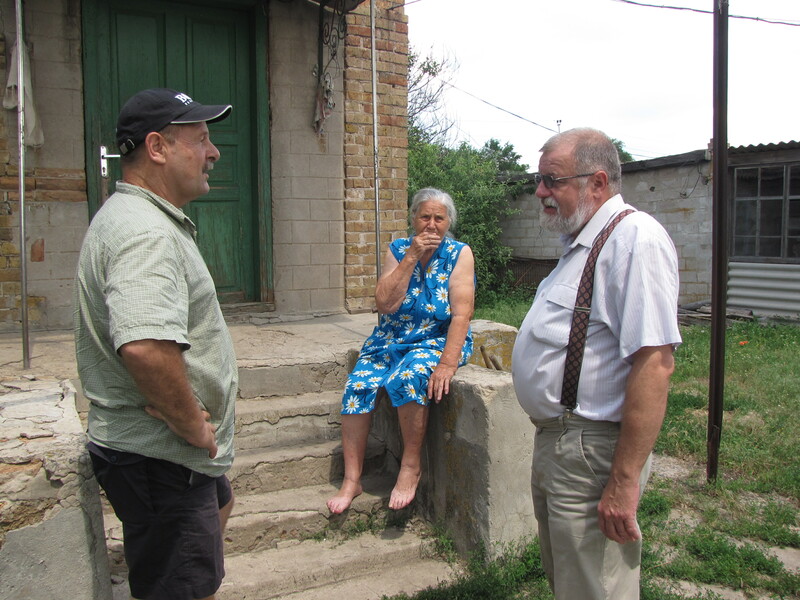 Other posts about Mennonites in Ukraine…..